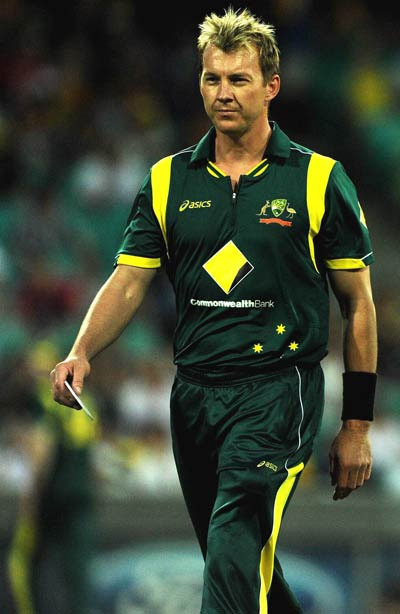 The courageous speedster of Australia, Brett Lee was determined to carry on participating in the One Day Internationals despite his broken toe and injurious right foot. Brett Lee suffered a blow on the toe when MS Dhoni struck a powerful shot on the second ball of his last over of the Twenty20 game. The T20 was played at Melbourne Cricket Ground on February 3, 2012 which India won by eight wickets and the two match series ended 1-1. The medical assistance was provided to the fast bowler after the match which revealed that he had broken his toe. The Australian team doctor, Trefor James suggested him rest for about six weeks which means he was out of the Commonwealth Bank Series. 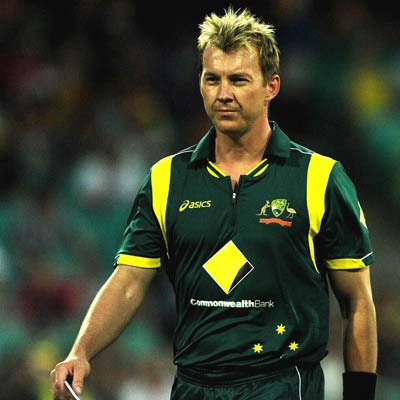 It was a cause of concern for Brett Lee who wanted to participate in the tri series involving India and Sri Lanka. He made a surprised decision by announcing to play against Sri Lanka in the 6th match of the series and made himself available besides healing his foot. The 35-year-old took part in the game against the Islanders on February 17, 2012, at Sydney Cricket Ground, took one wicket from seven overs as the encounter was clinched by the visitors by 8 wickets. Brett Lee has taken part in 209 matches, grasped 362 wickets at a high average of 23.07 runs per wicket with the best of 5 for 22. The right arm bowler has played four matches in the ongoing tournament and has taken five wickets at averaging 36.00 runs per wicket with the best of 3 for 49 runs. He was at his best in the seventh match of the series against India where he snatched three wickets for 49 runs after delivering his full quota of 10 overs. The home side won the match convincingly by a huge margin of 110 runs as the Indian batsmen surrendered against the lethal bowling of Australia except MS Dhoni who scored 56 runs. I love you very……………………………………much Brett Lee. I am your big fan. pls reply.